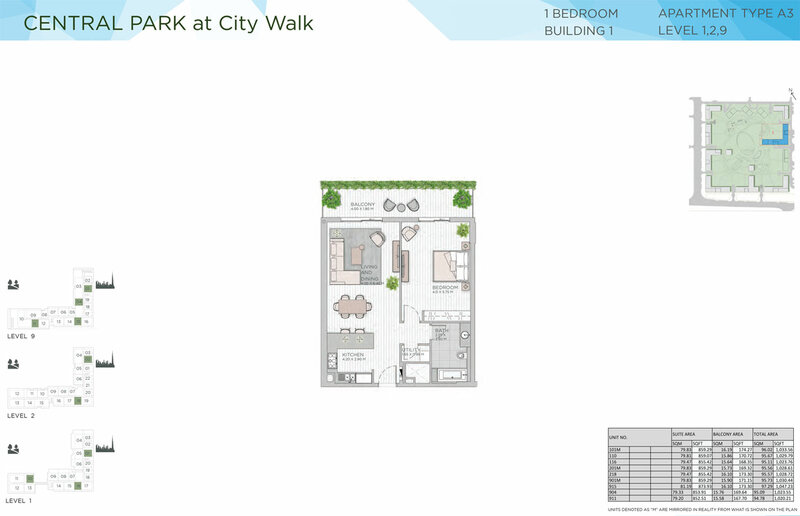 Introducing, Central Park Building 1 at City Walk by Meraas Holding, a new project featuring 1, 2, 3 & 4 bedroom upscale apartments in Jumeirah District, Dubai. The residences in this brand new neighbourhood are all set to promote a healthier and active lifestyle, which indeed sounds promising. 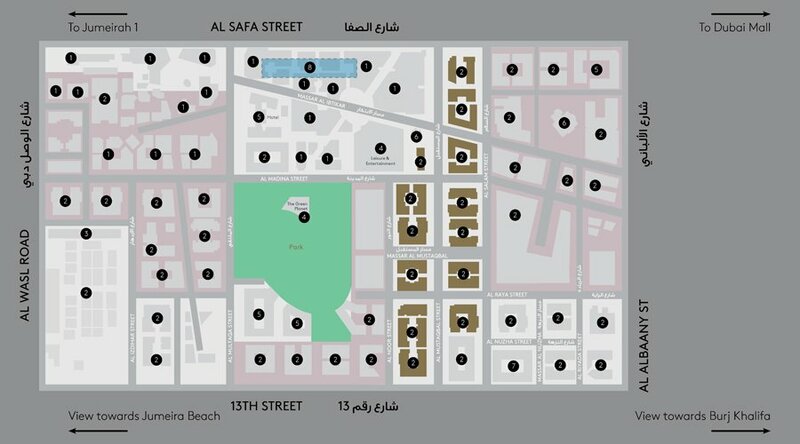 The residential development is part of a growing community that will be home to 12 mid-rise terraced buildings. It is an urbane lifestyle destination with family-friendly amenities. Bearing in mind your need for privacy and security, the apartments are conceived to provide the ideal living space. Moreover, the sleek and contemporary design of the upcoming homes blends well with the luxurious surroundings. The glass-fronted apartments with well-conceived floor plans make way for you to experience and enjoy a sophisticated lifestyle. With lush green parks and far away from the hustle and bustle of the city, the tranquil environment perfectly suits you and your family’s need. Considering the fact that it is a fully integrated residential development, the facilities being made available are without any doubt top-notch. For an ambitious project such as this, you will be spoilt with the number of choices on offer. 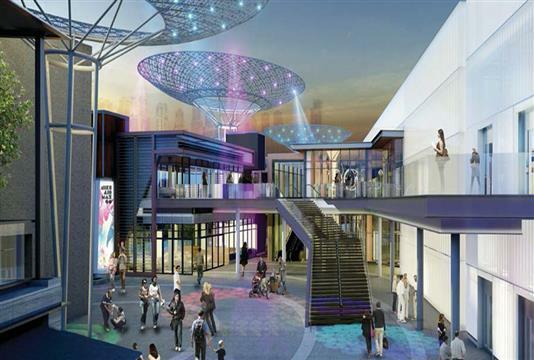 There’s a large selection of retail and fine-dining outlets, including leisure and entertainment venues, which you are bound to appreciate. So, by all means, you will have homes that distinctly suit your individual preference. Meraas Holding’s Central Park Building 1 at City Walk will be equipped with some of the most futuristic amenities you can ever imagine. The whole objective is to inundate you with several options, so that you can live life at your own terms, without having to compromise on any other front. 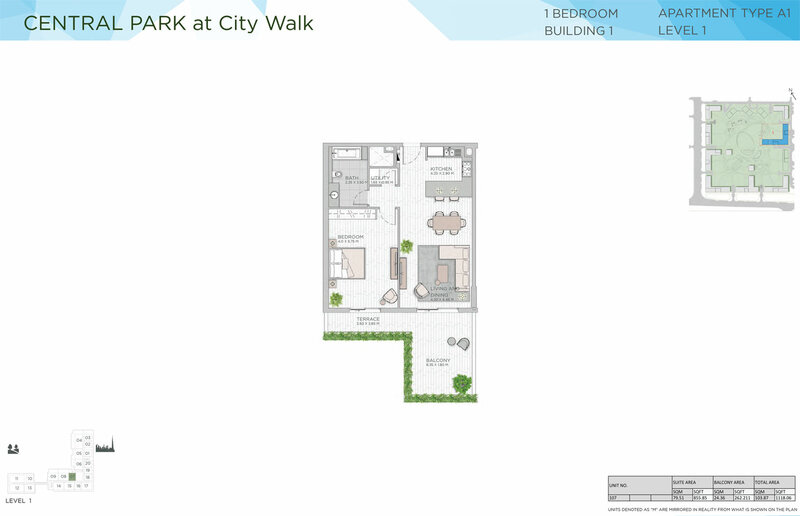 A generally well-crafted payment plan for Central Park Building 1 and lined with attractive terms will surely impress you. 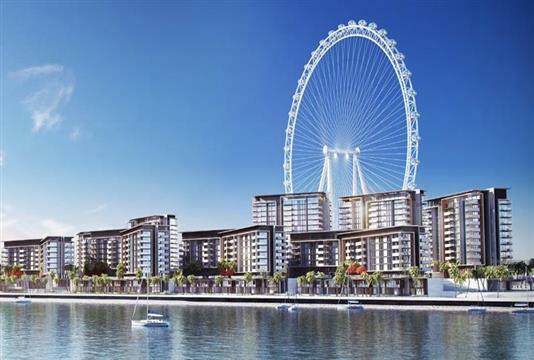 The flexible and appropriate payment options further make the process of acquiring the apartments an easy task, both for end users as well as prospective investors. 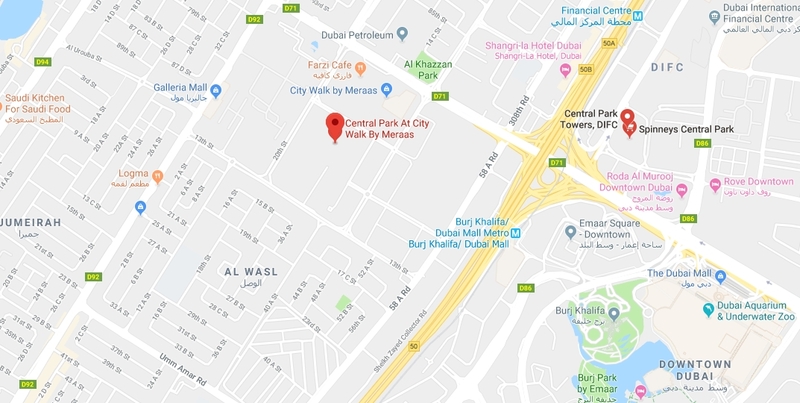 The upcoming Central Park Building 1 by Meraas Holding characteristically gets a pristine location within City Walk, in the Jumeirah District, Dubai. As the development is well served by excellent road networks, you will never have any issue moving in and around the city. 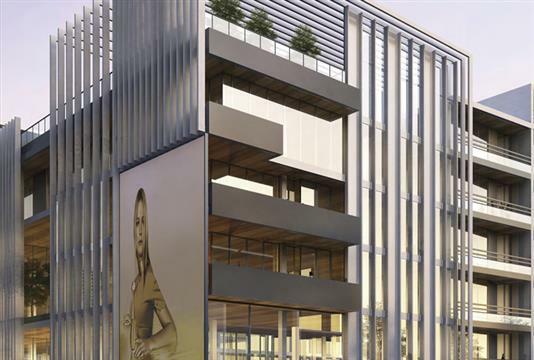 Strategically positioned between Jumeirah Street and Sheikh Zayed Road, the development is all set to become a premium destination in the near future. 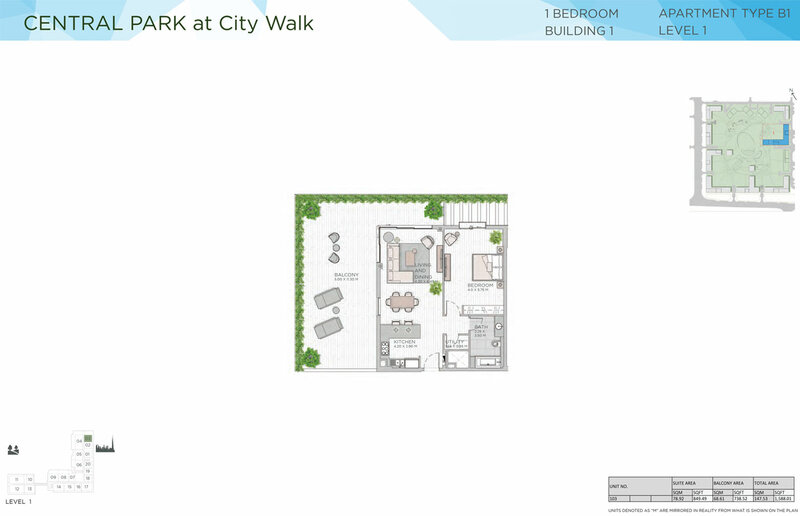 Considering the upscale nature of Central Walk Building 1, it is indeed a master-planned development, which effectively combines the most ideal elements. As a matter of fact, this development is part of a community that is ingrained with the progressive ethos and intends to present you with new age homes, overlooking lush green parks.